Sweet Mason jar glows with “Home Sweet Home” pride. 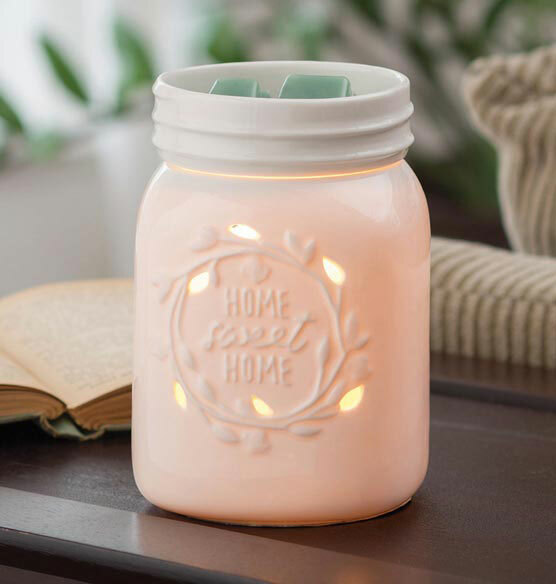 Inspired by the famous home canning jars, this hand-painted porcelain warmer’s screw-top style dish holds your favorite wax melts (sold separately). 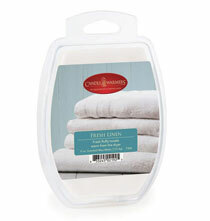 Simply plug in, and as its warming bulb adds a comforting glow, fragrance fills the air. Perfect for any room in your home! Measures 4 1/2” dia. x 6 1/2” high and weighs 1.9 lbs. This is so cute. If your into farmhouse decor this is just perfect. Looks like a Mason jar!! 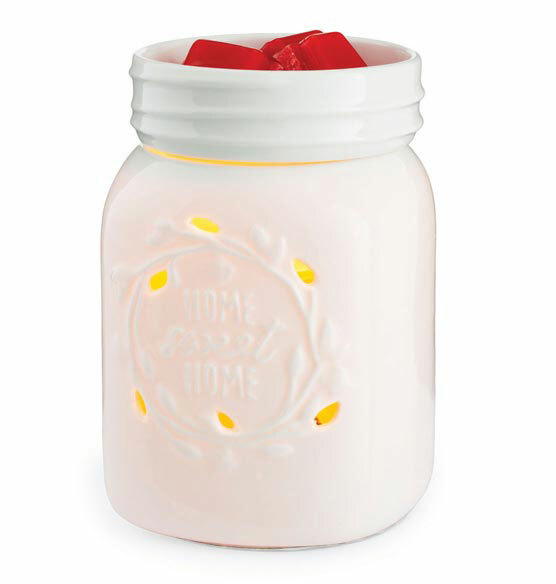 This fragrance warmer throws a wonderful scent while the wax melts slowly & the glow from the lighted base adds to your decor. The mason jar is simple & cute, especially if that is your decorating style.